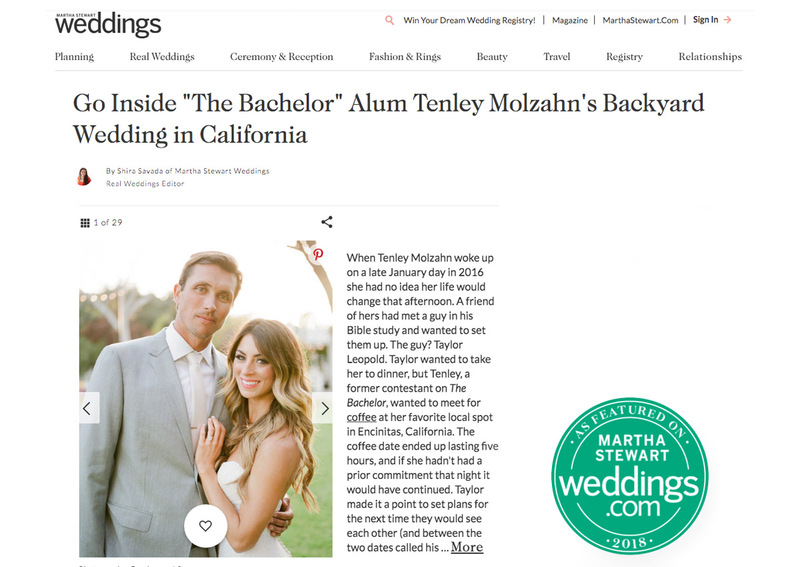 As currently featured in Martha Stewart Weddings, former Bachelor contestant, Tenley Molzahn, ties the knot with her true love Taylor Leopold, at their stunning southern California backyard wedding. 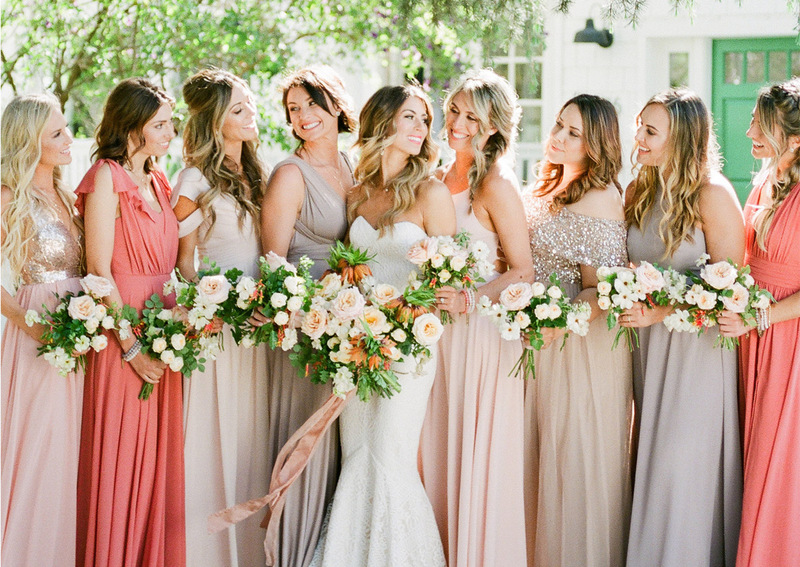 Just two years after initially meeting, four short months af-ter an unexpected proposal at the beach, and a surprise engagement party arranged by Taylor, the couple was joined by their closest friends and family at Chez Balliet, in San Marcos, California, for their wedding. On April 27, 2018, with an extremely intimate attendance of only 77 guests, the two confessed their utmost devotion and love for one another. 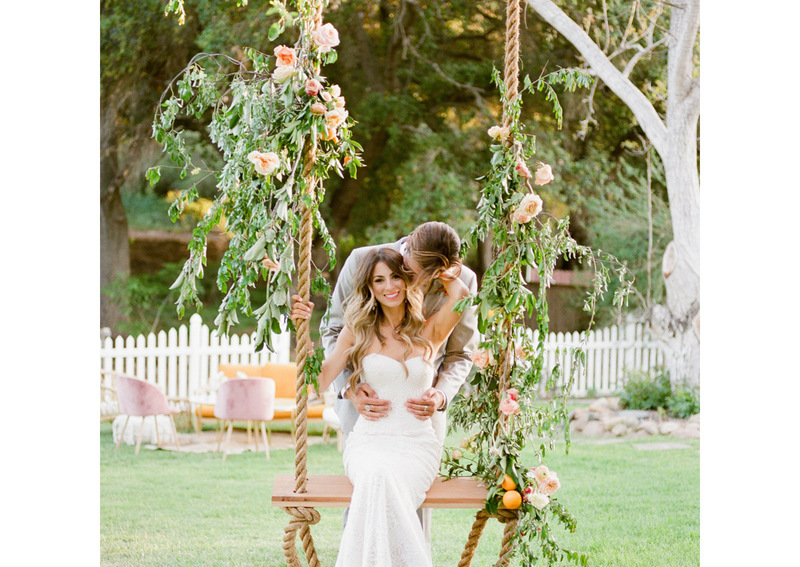 No detail was spared in this ro-mantic and relaxed backyard wedding, which was held at the home of planner, Heather Balliet of Amorology Wed-dings. Everything was painted beautifully with a loose theme of “live it well” that inspired many personal touches for the bride and groom. 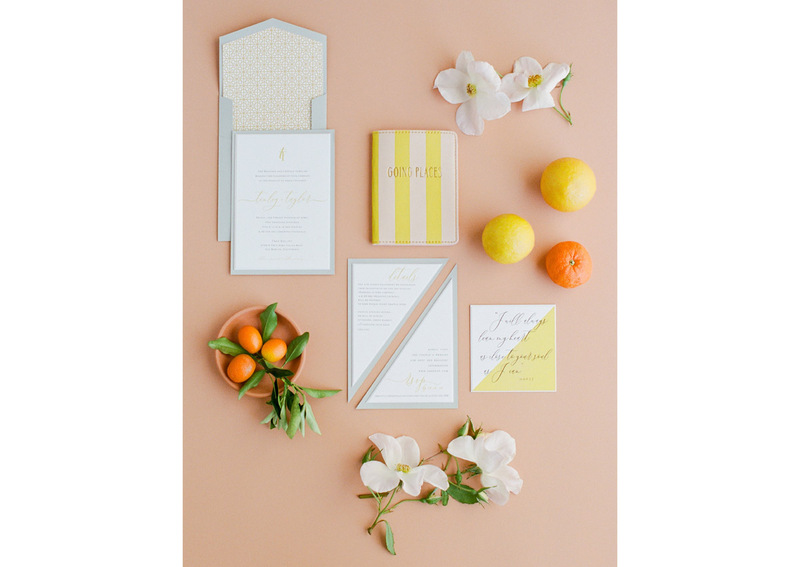 The beach loving and health-minded couples’ citrus-colored celebration was impecca-ble. “It was the best night of our lives, beyond anything we could have ever dreamed of,” Tenley says. 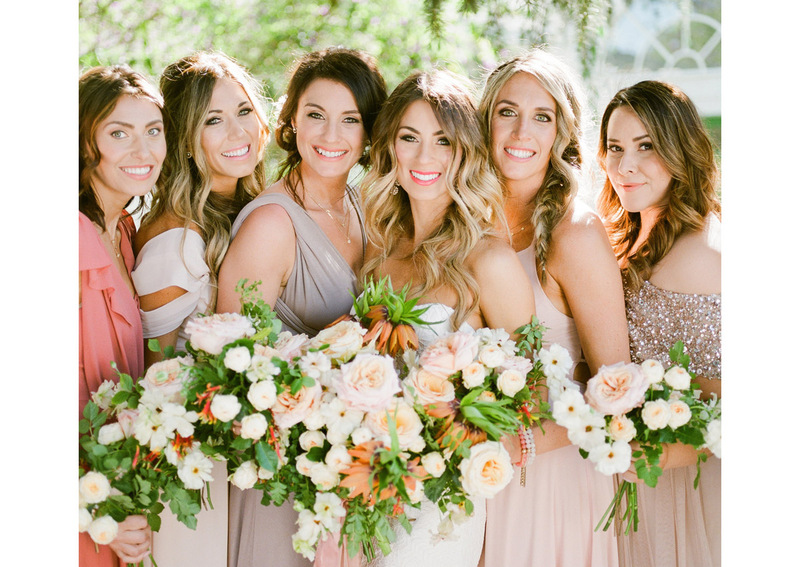 Floral designer Nancy Teasley of Oak & the Owl created a breath taking bouquet that included streaming silk ribbons, ranunculus, peonies, fritillary and roses to tie in the citrus color scheme and over all southern California fresh vibe. 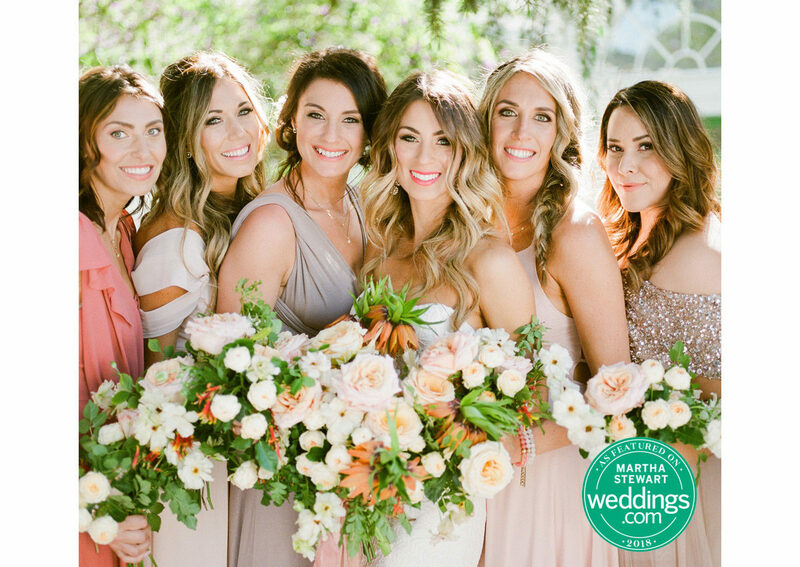 Tenley’s bridal party chose different earth and rose toned dresses from Lulus and accessorized with beautiful brace-lets from Juneau Luxe and necklaces from Nashelle. Ten-ley’s wedding band was simple, and gold with pavé dia-monds from Zhedora. To compliment each girls’ individual look, skin tone, hair color and dress color, I used varying shades of Cozzette eyeshadows, Senna on their cheeks and Danessa Myricks for their lips. 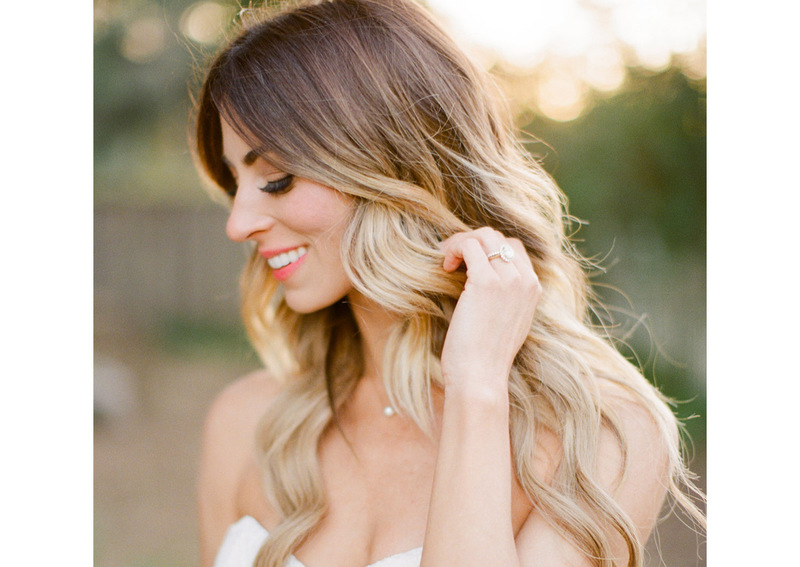 The entire wedding radiated a fresh, bright, and fun southern California vibe that was directly translat-ed through every last detail, including makeup. The beautiful couple ate, drank and danced their perfect night away together and Tenley forever left her Bache-lor(ette) life behind, without ever looking back! 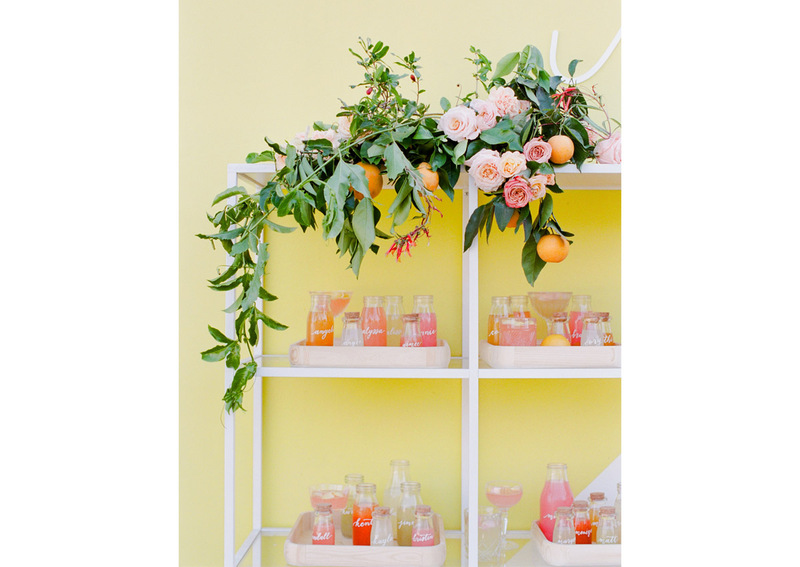 For more wedding coverage, head over to Martha Stewart Weddings and check it out! Cake and desserts, Hey there, Cupcake!